There are times for basics and times you just want to turn your outfit up a notch. 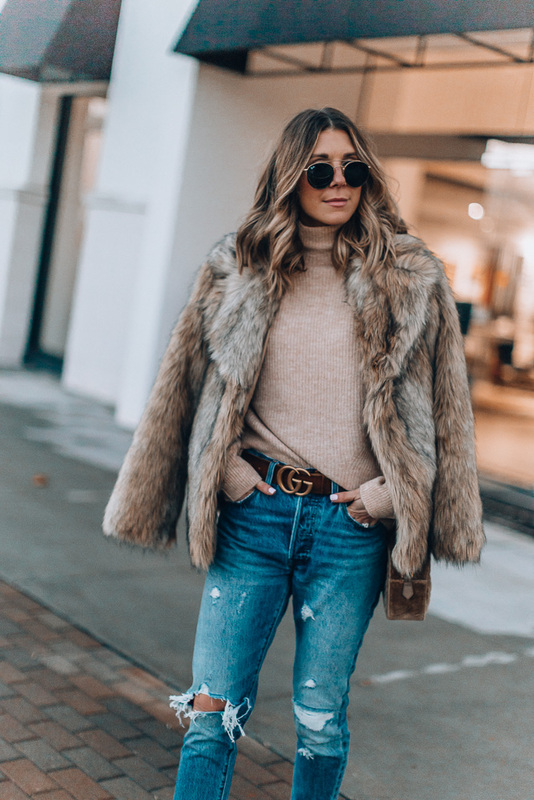 Whether you’re heading to casual holiday parties or trying to take your workwear to happy hour, Topshop at Nordstrom is the perfect brand to do it with. 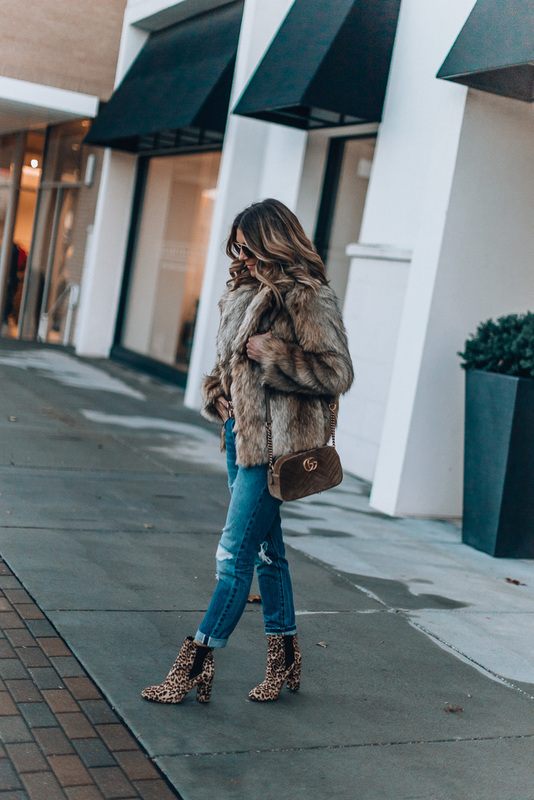 Whenever I want to try something trendy or different, I always go for Topshop because the price point is super reasonable and I love the conveniences of shopping at Nordstrom (free shipping and returns obviously!). 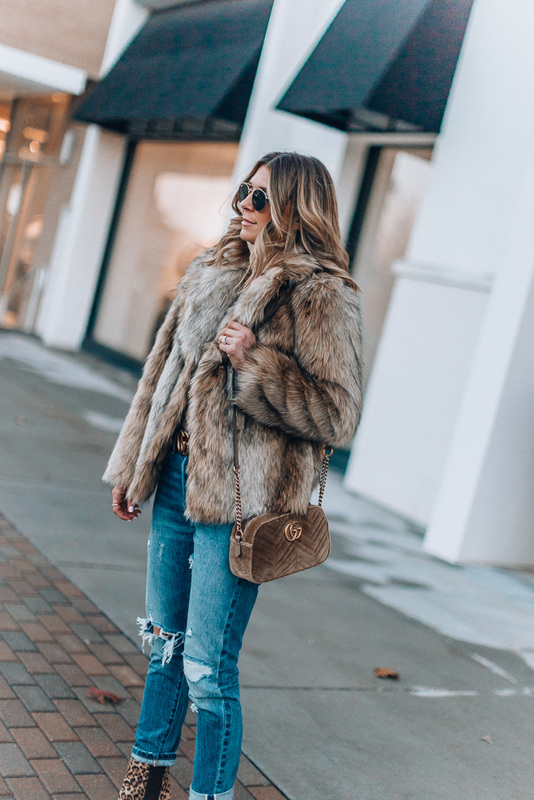 I had to talk about this coat first because it makes a statement with any outfit. 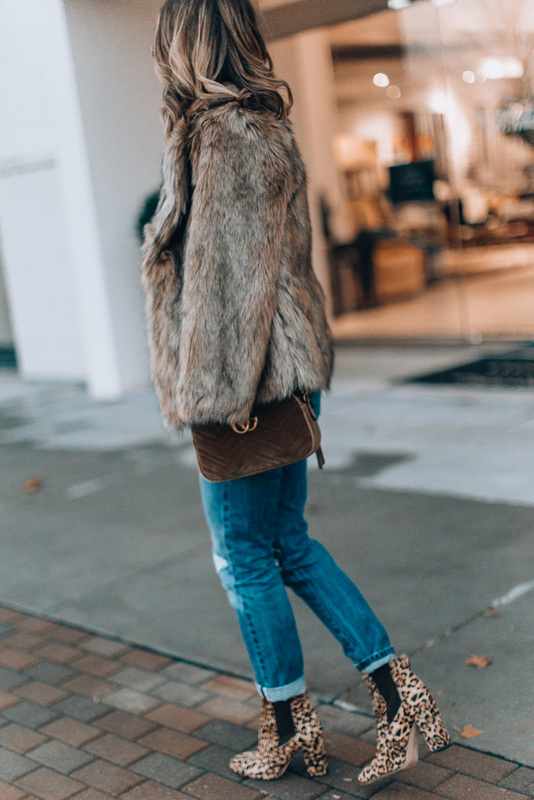 Faux fur is a fun way to add a little something extra, and this option from Topshop at Nordstrom is only $150! There are even a few bolder color options if you want to get really trendy with it. Sometimes when we dress ourselves I think we get stuck on what I call “matching rules”. We think we always have to pair certain colors. For example, if you’re wearing darker pants, wear a light colored top, etc. I say go monochrome! It’s slightly edgier and perfect for a cool fall/winter night out look. I went half monochrome with this look doing brown for both my jacket and the sweater, which is from Topshop and so soft! I don’t typically wear a ton of jewelry on a day to day basis, so when I add a statement earring I really feel special. I think earrings can definitely take an outfit to the next level, so don’t hesitate to try something outside your comfort zone! 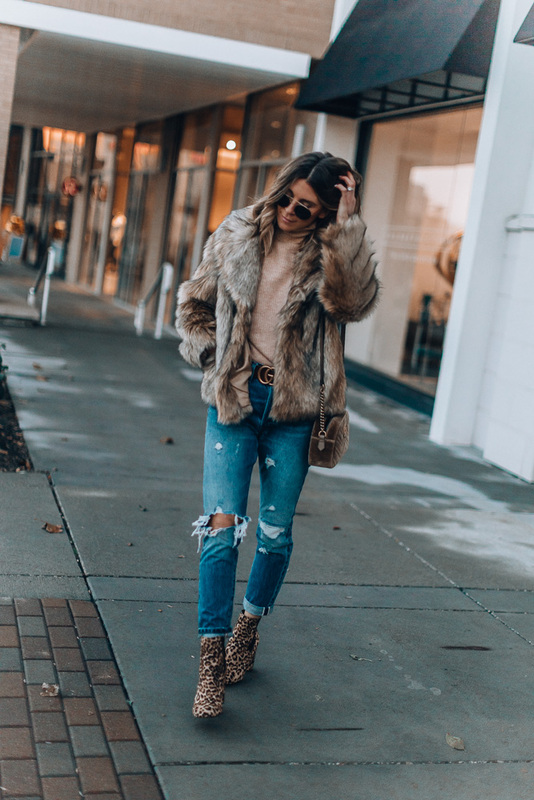 Add a pop of animal print. 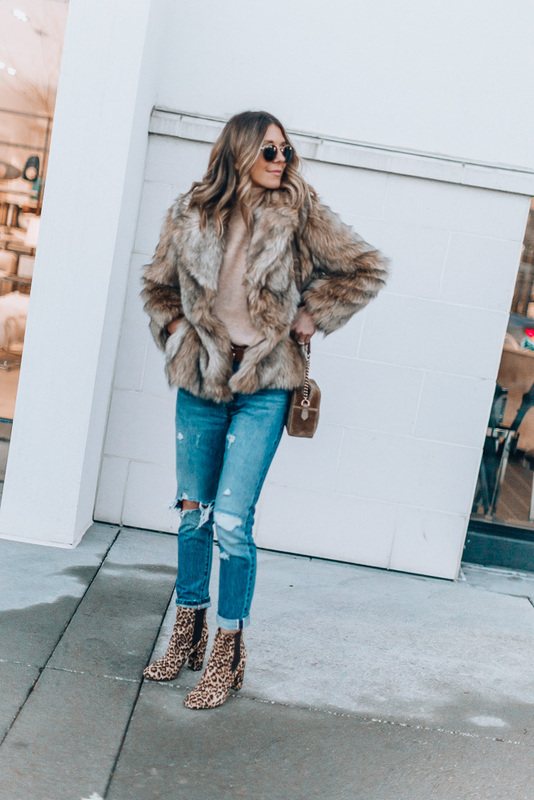 My new favorite neutral is leopard print – it goes with so much! I know the print may be intimidating so start small with like a scarf or shoes. I love my leopard booties! I found an almost identical pair here. Check out more leopard print here! 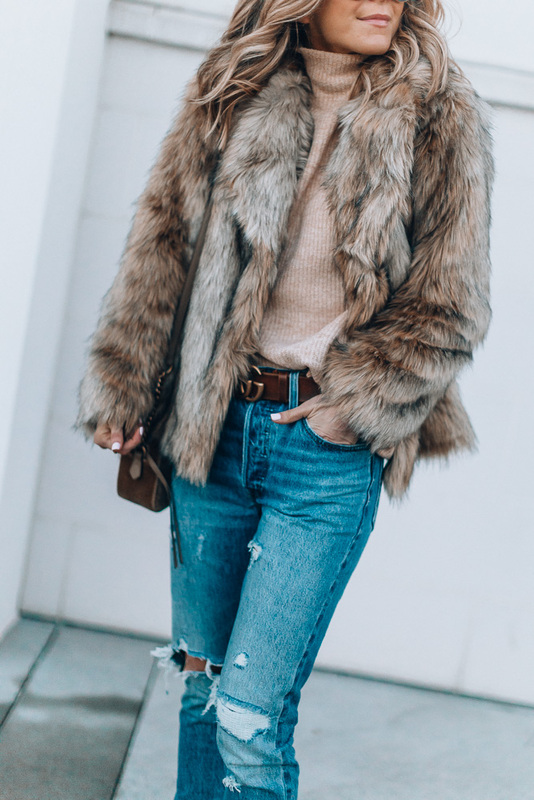 Don’t be afraid to take some chances with your look this winter! 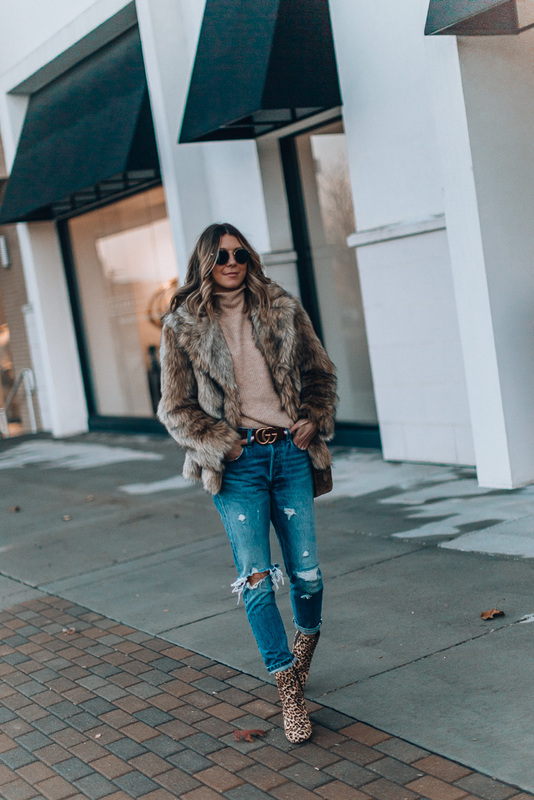 And remember to check out Topshop at Nordstrom – they have so many amazing pieces that could up your outfit game. 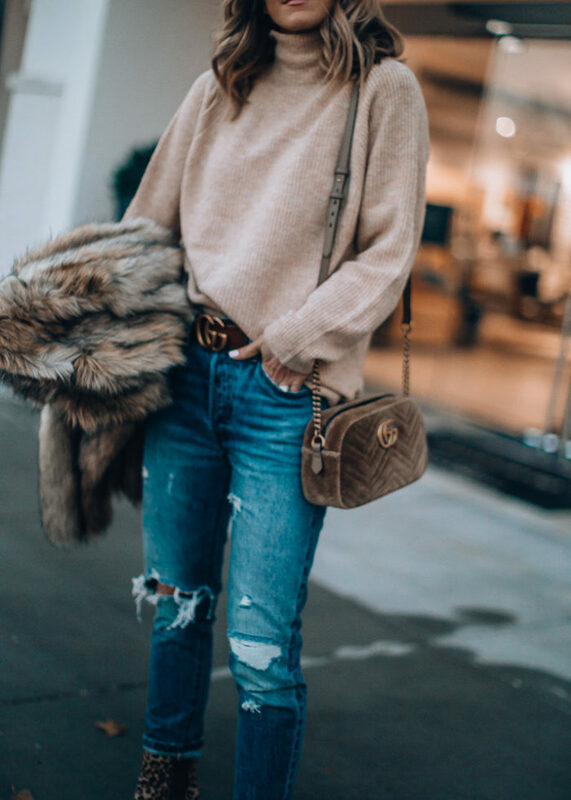 What’s your favorite way to spice up your usual look? Love this! 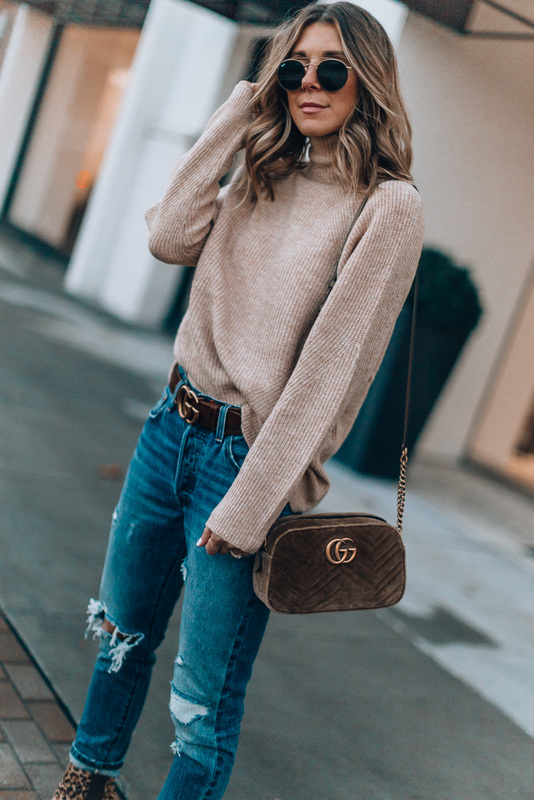 This outfit is amazing and definitely takes a simple outfit to the next level.